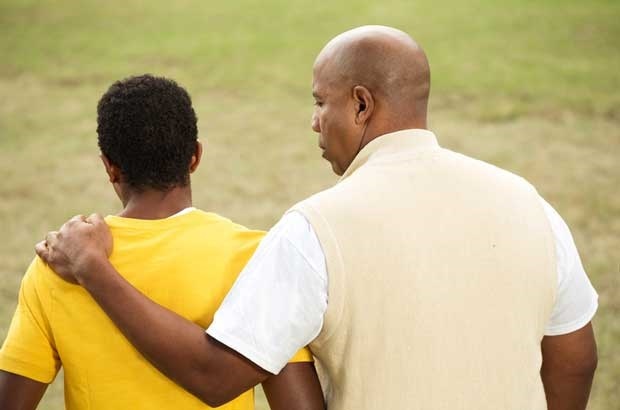 Are you unsure whether, or how, you should address suicide with your children? Experts say you should but age matters. Here's a guide on the best approach. Unfortunately many lives are touched by suicide. And while you may want to hide the means of death from your child, this may not be possible, especially in the age of social media. This has provided a modern difficulty for practitioners in the field, and it may be hard for parents to make sure their child is getting the information they need and in a way they can understand and cope with. The problem of suicide contagion (especially among young people, and those in rural areas) is well documented. That is, once a young person takes their life, this may increase the risk of others in their network doing the same. How then should you discuss suicide with your child? The first thing to consider is their age. At this age, children legitimately may not understand that death is permanent - “can we ring him in heaven?”, “who’s going to feed Nana after she’s buried?” are typical questions from kids this age. They likely won’t understand the concept of suicide either - and on balance it’s probably not constructive to introduce a topic that may be well above their heads. However, should someone else tell your child about a suicide, and they seem to somewhat grasp it, you should be prepared to discuss it. A good rule of thumb is, if they’re old enough to ask, they’re old enough to know. In terms of what to say, the simple truth will suffice. There is nothing wrong at this age with pointing out the “badness” or “wrongness” of Mr X’s decision. Children under ten are very black and white in their thinking, so avoid getting into complex arguments about possible shades of grey in these scenarios. Fortunately, suicides in children under ten are extremely rare, so concerns of copycat behaviour are not as pressing. 4) they legitimately lack the brainpower to foresee long-term consequences of their actions, especially in terms of how they might affect other people. Instead they tend to live in the moment and are egocentric, impulsive and emotional in their decision-making. In their case, discussing factual information about suicide is an excellent place to start. With teenagers you can discuss suicide as multi-factorial in its nature: people take their own lives for many different reasons, some have reasons that appear quite understandable (self-euthanasia in the case of terminal illness) others are totally baffling (no known condition or trigger). In between those two extremes lie the common risk factors of mental illness, drugs, stress, and impulsivity. Emphasising the transience or manageable aspects of these factors is important. Remind your teen that suicide is a permanent decision made in response to a temporary problem. Avoid any hint of romanticising suicide, particularly glamourising the aftermath (how many people attended the funeral, the number of people who showed outpourings of grief on Facebook). Romanticising has been shown by some studies to increase suicide rates among adolescents. Conversely, presenting suicide in a factual light has been associated with a lower risk of imitation. Importantly, let your teen know you are always there for them, how horrendous suicide is for those left behind, and help them to problem-solve their way to effective solutions to life’s problems. Have you tried to tackle this topic with your kids? How did you do it? Tell us by emailing to emailing to chatback@parent24.com and we may publish your letter. Do let us know if you'd like to stay anonymous.